Hi! I'm a bat. I can fly, but I am not a bird... I'm a mammal. This means that I am warm-blooded, and also that I drank my mom's milk when I was young. I am a fantastic flier and fly mostly at night. I help you by eating harmful pests. Although I may not be beautiful, I am very clean for I groom my wings and teeth daily! 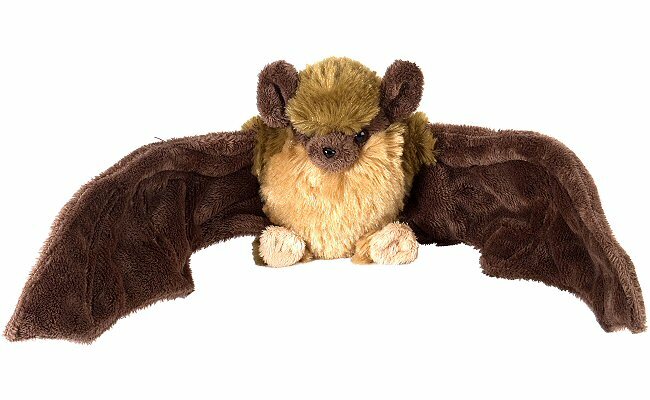 A portion of the proceeds from the sale of this Mini Cuddlekins Little Brown Bat stuffed animal helps to provide housing and education for disadvantaged children, as well as protection for abandoned animals throughout the world.